Fundraiser by Jeff Lew : Erase Washington School Lunch Debt! Hello everyone! We've already wiped out over $100K in lunch debt as a team through my other campaigns, but there is still more to do. This time, I’ve partnered with Stephen Medawar, another local dad, and we’re excited to a tackle a much bigger goal: let's erase lunch debt for all of Washington State! Children depend on a nutritious lunch to help them through their school day. 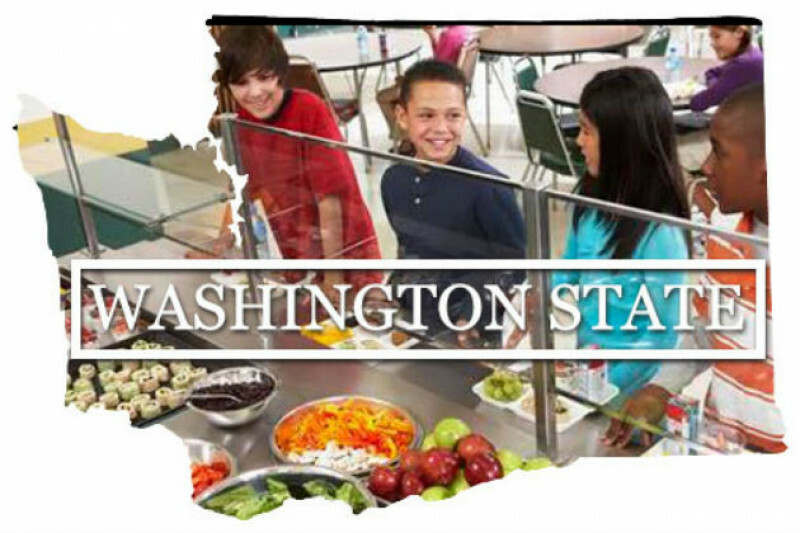 Although 44% of Washington State school district students are on free or reduced-price meals (Office of Superintendent of Public Instruction for Washington State report), many students who do not or cannot qualify for these lunches still cannot afford to pay for them. A 2014 federal report found that 39% of districts nationwide hand out cheap alternative meals with no nutritional requirements, and up to 6% refuse to serve students with a lunch debt balance. Sadly, 76% of America’s school districts have kids with school lunch debt. You may have read about “lunch shaming”. Students who are unable to pay for a hot lunch are given an “alternate meal”, which highlights their poverty and sets them apart from their peers. Students who are hungry are unable to focus on their work, and they can easily give up hope for succeeding in school because they are embarrassed by their inability to pay for lunch. Two articles that speak about lunch shaming are this CNN article and this Seattle Times article. I know we can help the next generation focus on education instead of dealing with this daily reminder of their poverty. With this community's help, we have already raised money for 5 Washington State public school districts (Read more on this here!). Our new goal is to pay off the school lunch debt for the entire state of Washington and to ease the burden on Washington State families. Paying off the school lunch debt is one physical way that we can help provide hope for students to focus not on their disadvantages, but on their future. Personally, I used to look forward to school lunch each day, and I'm sure these children will feel the same way soon! 1) Please GIVE what you can. No donation is too small. All donations are tax-deductible. 2) SHARE on social media. 3) EMAIL this page - gofundme.com/erase-washington-school-lunch-debt - to your family + friends. Let's get viral! As of August 25, 2017, the total school lunch debt for Washington State is TBD. Note: The total will be updated as we get more info from school districts. Our friends at the World Impact Network (WIN) will be withdrawing the money and dispersing it to the school districts. WIN is a 501(c)3 charity, and you’ll receive a tax receipt after donating to this campaign. Hello! In honor of Giving Tuesday, can you please share this important school lunch debt campaign? Thank you so much for your ongoing support! Wow! We now have more than 300 people that have donated and are at a little over $44,000 in online and offline donations! You are amazing! We want to send a very big thank you to Facebook Seattle for their generous donation of $2,000! You'll see more news very soon on some partnerships that will help us get much closer to our goal of eliminating the lunch debt in Washington State. If your company wants to partner with us to help raise funds, let us know at info@lunchdebt.org. We'd love to speak with you! Keep sharing! We can do this! Wow! It's awesome to see that 288 donors have contributed to the campaign so far! We want to call out a big donation from an anonymous donor. Thank you so much for your generous donation of $5000! We would also like to call out an offline donation from the Bruce and Mary Stevenson Foundation. Thank you so much for your generous donation of $1000! Please note that listed total amount raised on this page does not include offline donations. So far with offline donations included, we have raised a total of $30,230! We've been given the heads up that there are a couple of big offline donations coming in over the next couple of weeks. Keep an eye on updates! Thank you everyone for the support! Let's do this! The support for Washington State school lunch debt campaign has been tremendous! We have raised a little over $12,000 in only 3 days! Truly amazing! Thank you so much for the continued support. We can do this together!